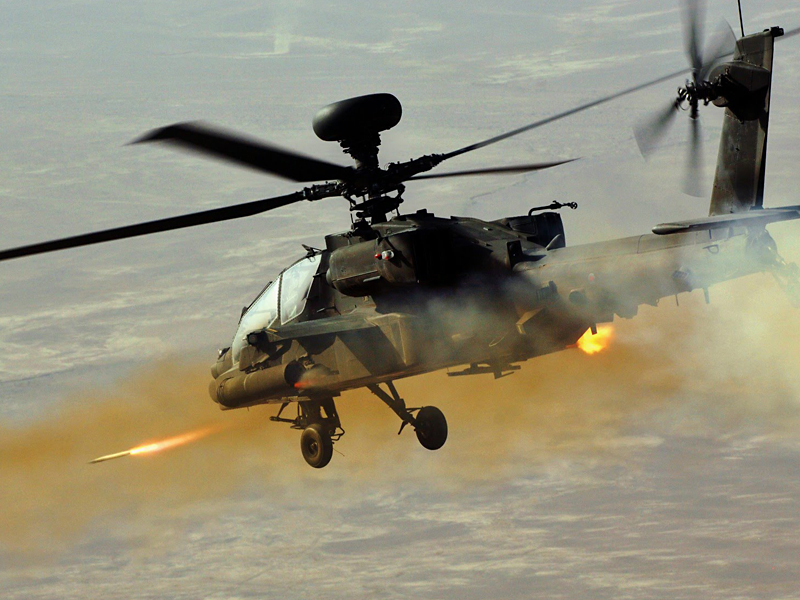 The AH-64 Apache attack helicopter flies and packs a punch like a fighter jet. 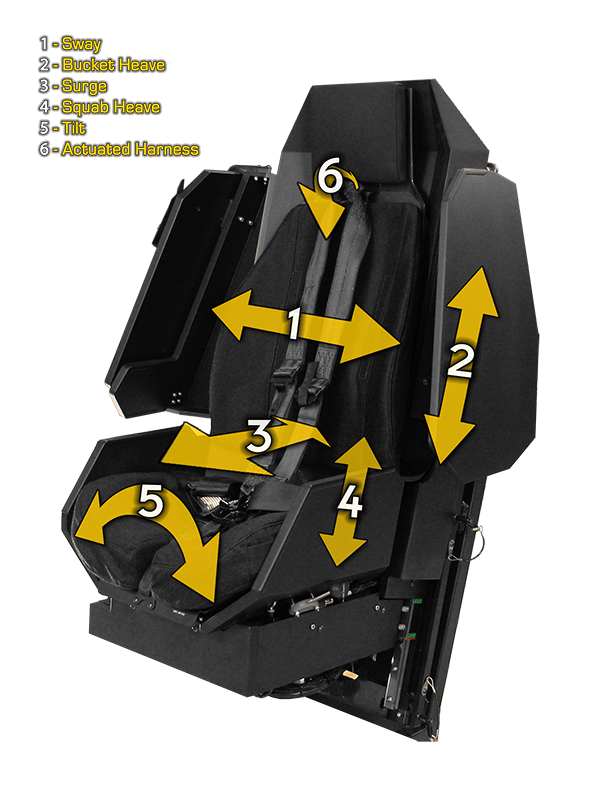 This helicopter has unique motion cues including g-loads. 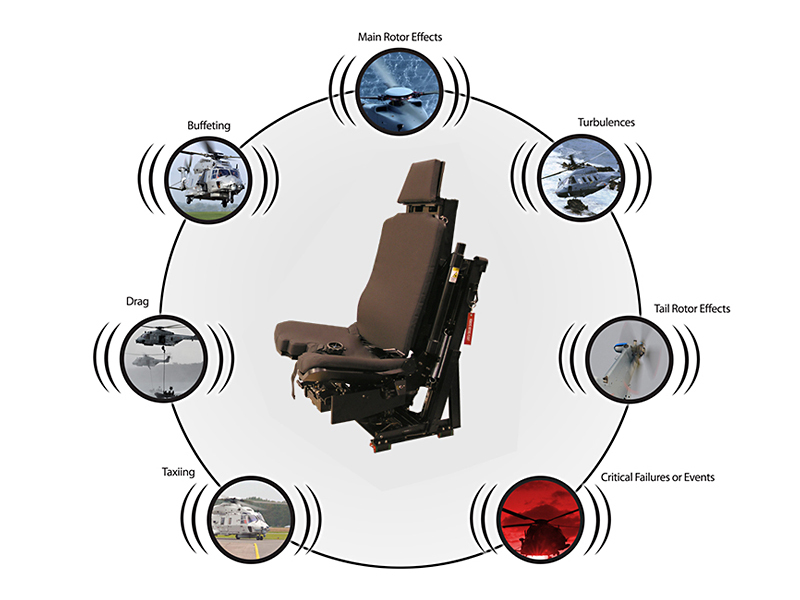 ACME’s True Q® Dynamic Motion Seat replicates the feel of the Apache’s aggressive flight maneuvers, weapons employment, and the full range of helicopter-specific flight vibrations and motion cues. 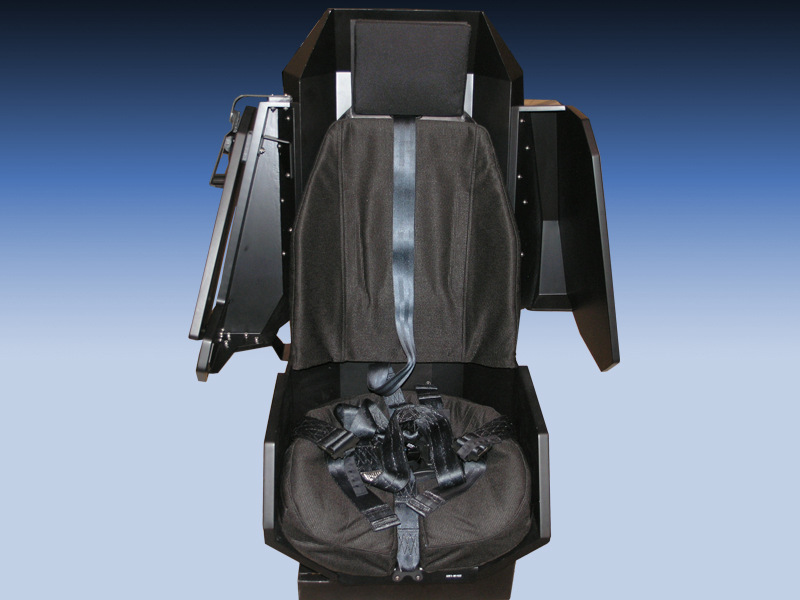 Just like the helicopter, ACME’s motion seat system has unique pilot and weapon officers seats with the articulated armor screens. 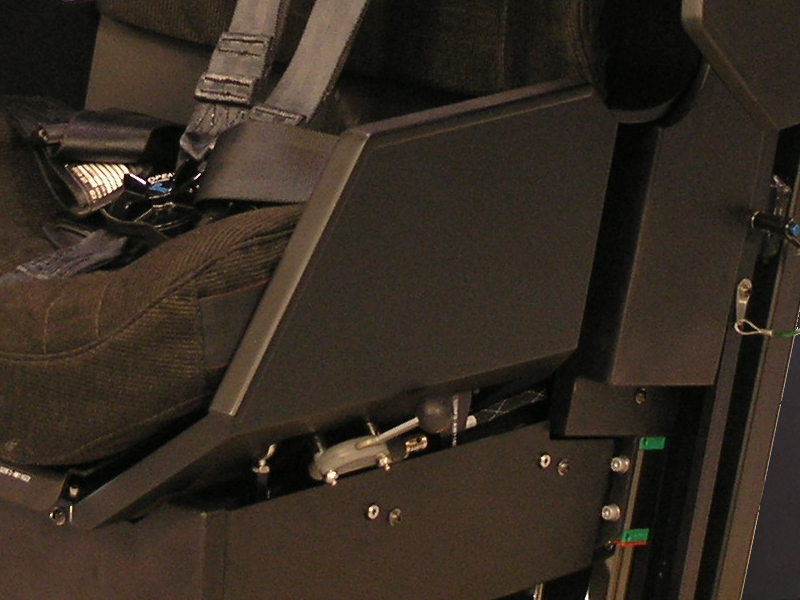 The Boeing AH-64 Apache is a four-blade, twin-engine attack helicopter with a tailwheel-type landing gear arrangement, and a tandem cockpit for a two-man crew. 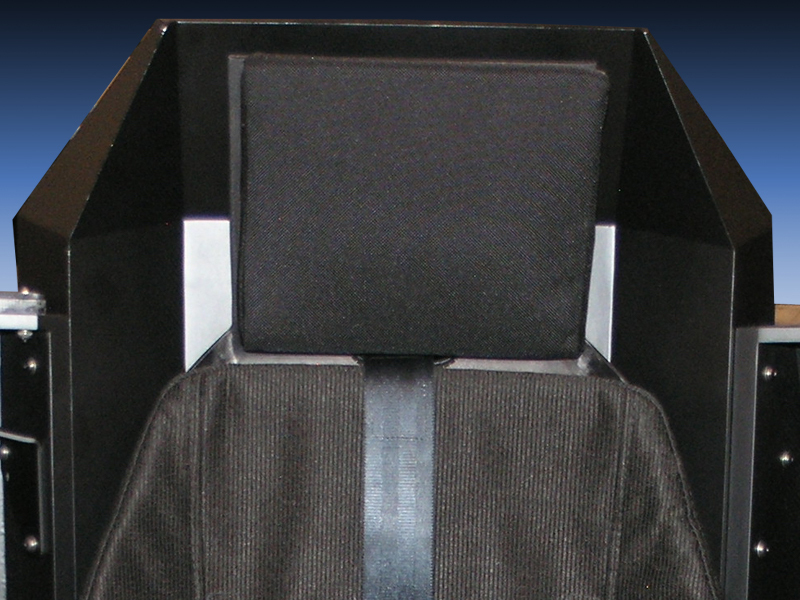 It features a nose-mounted sensor suite for target acquisition and night vision systems. It is armed with a 30 mm (1.18 in) M230 Chain Gun carried between the main landing gear, under the aircraft’s forward fuselage. It has four hardpoints mounted on stub-wing pylons, typically carrying a mixture of AGM-114 Hellfire missiles and Hydra 70 rocket pods. 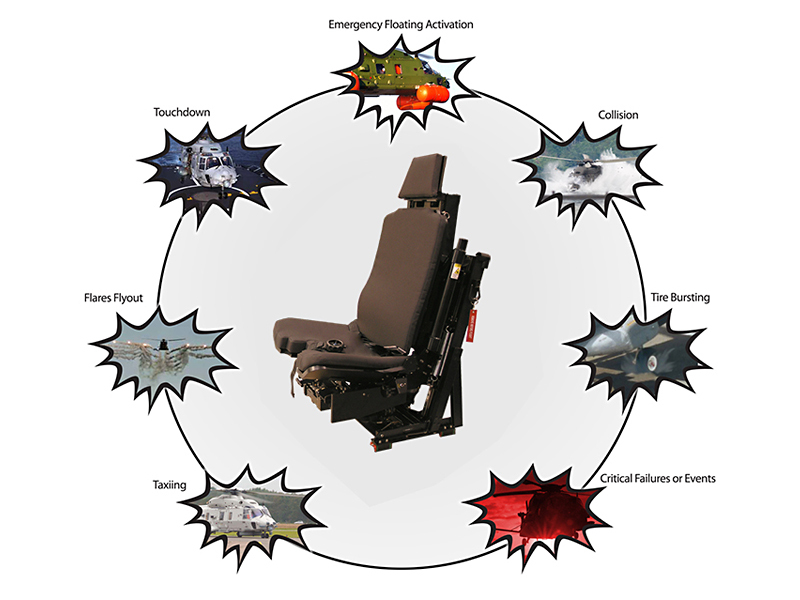 The AH-64 has a large amount of systems redundancy to improve combat survivability. 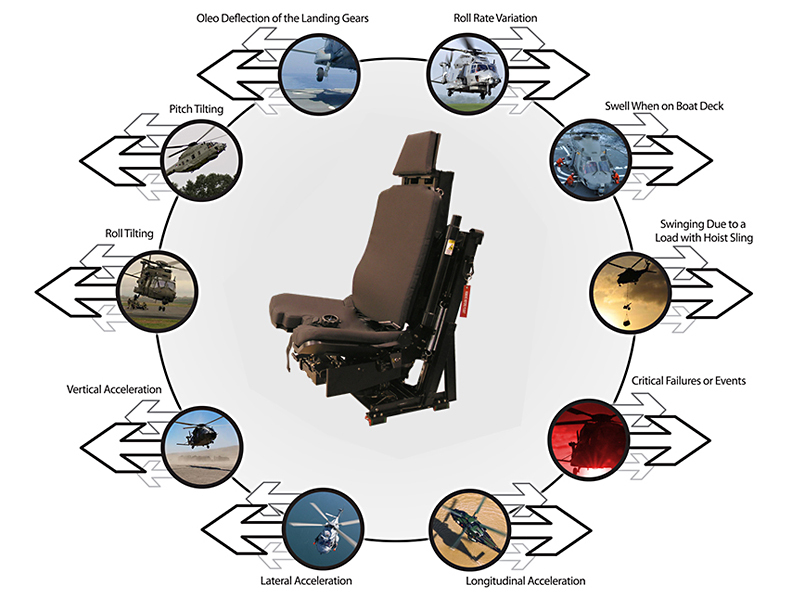 The Apache originally started as the Model 77 developed by Hughes Helicopters for the United States Army’s Advanced Attack Helicopter program to replace the AH-1 Cobra. The prototype YAH-64 was first flown on 30 September 1975. The U.S. Army selected the YAH-64 over the Bell YAH-63 in 1976, and later approved full production in 1982. 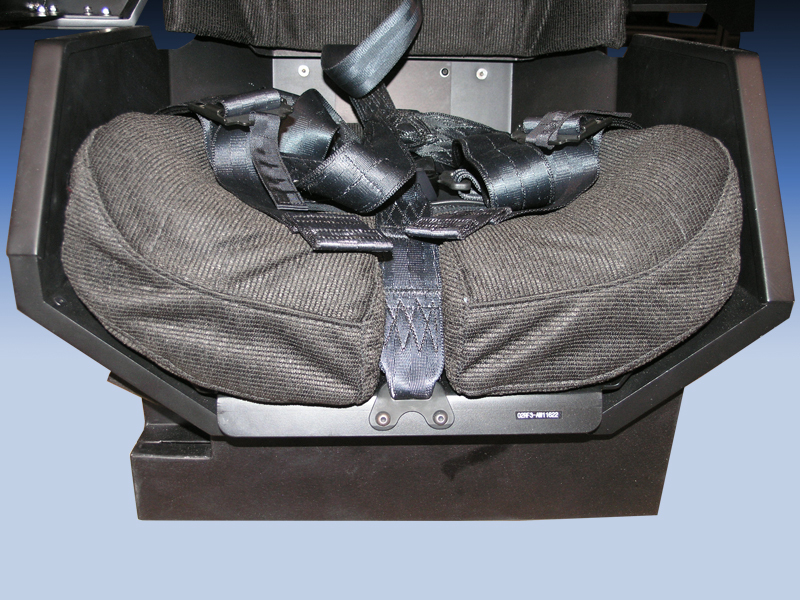 After purchasing Hughes Helicopters in 1984, McDonnell Douglas continued AH-64 production and development. The helicopter was introduced to U.S. Army service in April 1986. The first production AH-64D Apache Longbow, an upgraded Apache variant, was delivered to the Army in March 1997. 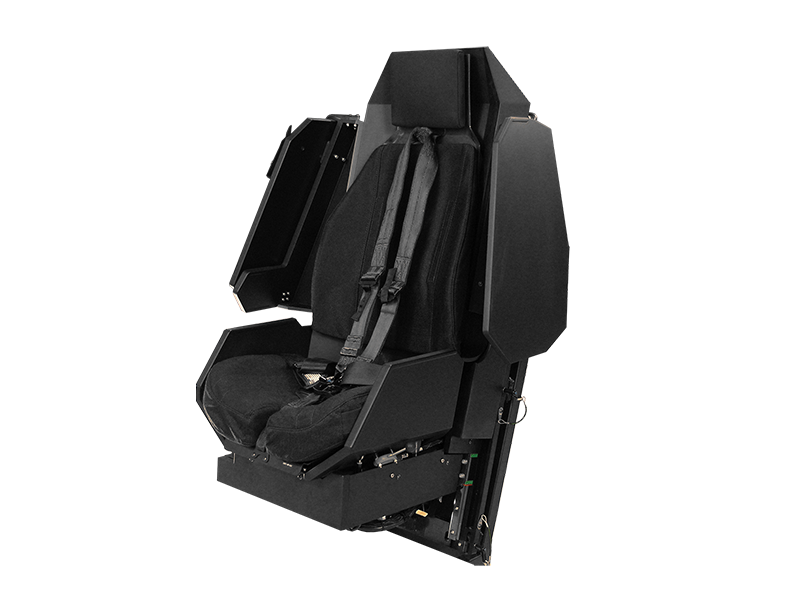 Production has been continued by Boeing Defense, Space & Security; over 2,000 AH-64s have been produced to date. 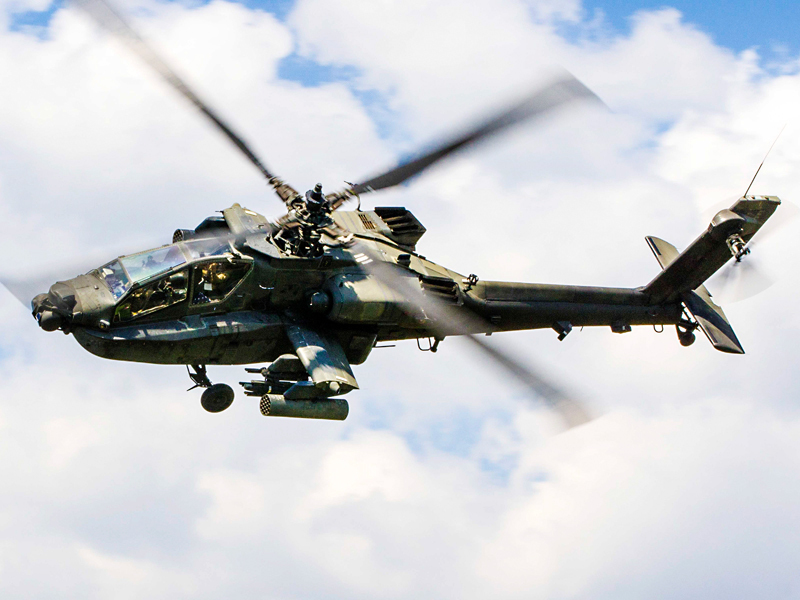 The U.S. Army is the primary operator of the AH-64; it has also become the primary attack helicopter of multiple nations, including Greece, Japan, Israel, the Netherlands and Singapore; as well as being produced under license in the United Kingdom as the AgustaWestland Apache. 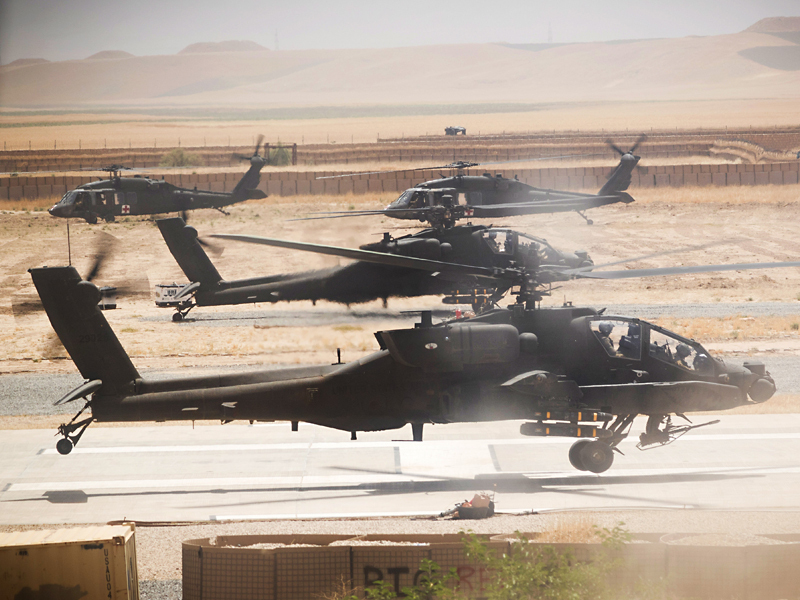 U.S. AH-64s have served in conflicts in Panama, the Persian Gulf, Kosovo, Afghanistan, and Iraq. 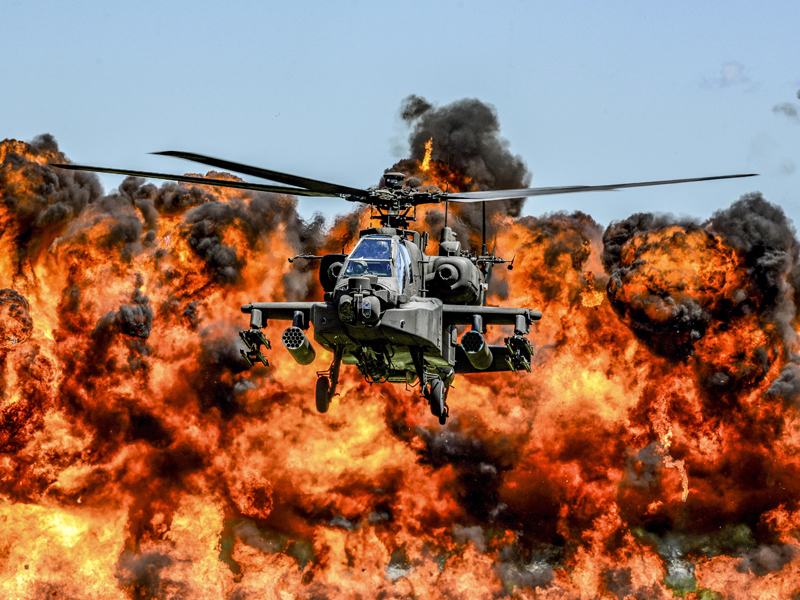 Israel used the Apache in its military conflicts in Lebanon and the Gaza Strip; British and Dutch Apaches have seen deployments in Afghanistan and Iraq.